Congressman fronts bipartisan effort to stop 'dangerous' shift in US policy, says Obama no longer interested in preventing nuclear Iran. It has been nearly two months since world powers reached a deal with the Islamic Republic of Iran over its controversial nuclear program - an agreement described in no uncertain terms by Israeli officials, most notably Prime Minister Netanyahu himself, as a "bad deal". But as the dust settles and the big headlines make way for the murky process of political wheeling and dealing over the details of its implementation (precisely the process Israelis have warned would be utilized by Tehran to buy more time), one US lawmaker has pledged to cut through the diplomatic molasses to ensure that the Obama administration does not compromise on America's promise to prevent a nuclear Iran. Republican Chief Deputy Whip and chair of the House Republican Israel Caucus, Congressman Peter Roskam (R-IL), has been fronting a concerted bipartisan push to prevent what he says is a "dangerous" shift in US policy. Addressing the House of Representatives on December 4, Roskam warned that the Obama administration was seeking to radically alter the US's long-stated, "unambiguous" policy "that Iran shall not be a nuclear power" in favor of "a policy of containment", which he insisted was a "dangerous mistake". The current agreement, he chided, simply ensured that whilst "the Iranians gain an advantage of time and money, we squander both." 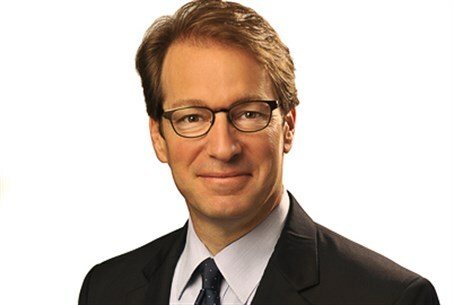 To counter that, together with a number of other Congressmen from both sides of the House, Roskam has proposed Resolution 445, which would ensure that any final nuclear agreement with Iran would have to include the full dismantlement of the Islamic Republic's nuclear program, "including its production of a nuclear warhead and ballistic missiles", and "reaffirms the need for additional economic sanctions against Iran should it fail to meet the negotiated terms of the interim agreement within six months of implementing the deal." In a statement issued last month, the bill's backers declared that "preventing Iran from acquiring a nuclear weapons capability is a moral and strategic imperative for the United States." Speaking to Arutz Sheva, Congressman Roskam summed up his efforts pointedly. "We are trying to strengthen the backbone of the administration on this issue," he said. He says the Geneva deal - which critics says does little more than temporarily pause a few elements of the nuclear program in return for significant sanctions relief - is based on an entirely false premise which ignores Tehran's aggressive and ambitious foreign policy objectives, and will therefore pave the way for a nuclear Iran unless legislators take firm action. "The administration is making a grievous mistake," he warned. "They are assuming that there is something called a 'peaceful Iranian nuclear ambition' - it just does not exist." "And to base foreign policy on such a false premise with such a dangerous regime is a disaster," he added. Unlike similar bills, Roskam's proposed law looks beyond the nuclear program, and additionally seeks to "reduce Iran’s support for terrorism, human rights violations, persecution of religious minorities, and unjust imprisonment of American citizens." The persecution of minorities within Iran has been routinely condemned by human rights groups, and last month the US Senate unanimously approved a resolution condemning the country's treatment of the Bahai religious minority. Iran is also currently holding captive three American citizens, including Saeed Abedini, a Christian pastor who was jailed for his religious beliefs. The White House recently appealed to Iran to release them, and Roskam stressed that that is also an important objective of the bill. Decrying the lack of attention given to Iran's long history of human rights abuses and support for terrorism, Roskam insists tackling these issues in their own right is key to holding Iran to account for its actions. But Roskam also emphasized that foreign policy vis-a-vis the Iranian government cannot be correctly formulated before understanding "what the Iranians are all about." "This is not a negotiation about trade policies between countries who share a value system. This is an attempt to restrain and influence a regime which has been incredibly aggressive on all fronts," he explained, noting Iran's active support for its terrorist proxies in Gaza, Judea-Samaria, Lebanon, Syria, Iraq and elsewhere, and the regime's simultaneous suppression of all forms of dissent at home. Roskam also attacked the Obama administration's motivations, which he said were being influenced by personal, rather than national, concerns. "The Obama administration is searching desperately for a foreign policy legacy" in the hope of compensating for a dismal domestic record, he says. "That search has become something that is very central to the administration. While there are many difficulties that the administration is facing on the domestic front, I think they are looking to foreign policy to try and make a mark - and it's a mistake." "That's the only explanation I can see for these moves on Iran: to go against American public opinion, to go against bi-partisan expressions of concern. To fundamentaly change US policy and to not bring along our key ally in the region - that is Israel...?" he added, noting the White House's apparent dismissal of Israeli concerns in the process leading up to the deal. "I just search for any other explanation." He said that while he certainly doesn't underestimate the task at hand (similar bills have been thwarted after some Democrats pulled their support), he is optimistic that his efforts will bear fruit. "There is really strong bipartisan agreement on this issue in a Congress that has found it difficult to agree on anything," he noted. "And I'm doing everything I can along with bipartisan colleagues to push back on the administration and restrain them from making a terrible mistake."